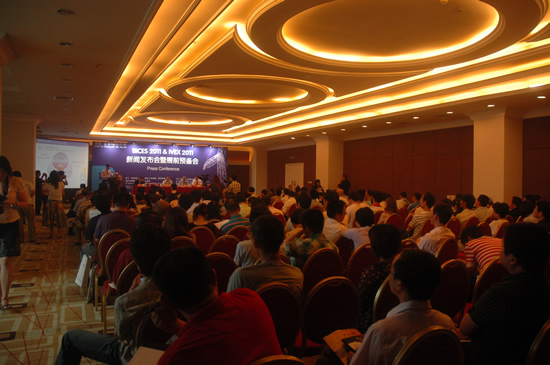 The press conference or preparatory conference for 11th Beijing International Construction Machinery Exhibition & Seminar (BICES 2011) was held on June 22 in Beijing Jiuhua International Exhibition Center, the same venue where the exhibition will be held. The latest update of the preparation was released at the press conference. Over 200 people, journalists from nearly one hundred media organizations, representatives of the end-users and some exhibitors participated in the conference. 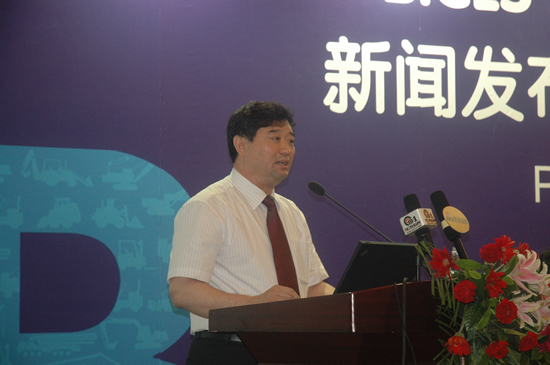 The high-ranking officials with Ministry of Industry and Information presented and gave a speech. The upcoming BICES 2011 has achieved what it has planned with a 25% growth from previous event in terms of the number of the exhibitors and floor space. Approximately 70,000sq.m in 3 indoor halls and all the outdoor area, 120,000sq.m in Beijing Jiuhua International Exhibition Center has already been booked. Total show area of BICES 2011 will be nearly 200,000sq.m. BICES 2011 will break a new record in terms of the number of exhibitors, scope of the exhibits and the scale, which will make BICES 2011 rise above the other similar exhibitions and become the largest and most influential one of the same kind in Asia-Pacific region this year. 1、More presence of international exhibitors, group enterprises, new companies and capitals will be available. A huge growth of international exhibitors will lead to an independent international pavilion. And the domestic companies will showcase in forms of group enterprises with larger show area than the previous event. The new companies will be staged with over one thousand or even two thousand square meters. 2、Both domestic and international exhibitors will jointly stage their best products. World cutting-edge technologies and self-innovated products will be unveiled as well. World class exhibitors will display their all series products with multi-brand strategy. Domestic exhibitors will showcase their largest, smallest or concept products in the event. In the same time, the new companies will rather keep their products to themselves. All this will create many surprises to the visitors in the end. 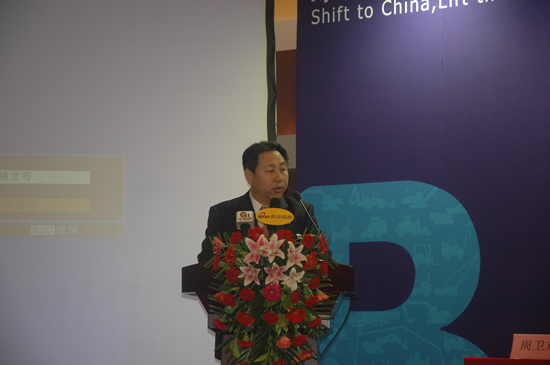 3、The theme “shift to China, lift the green world” drew the attention of the global construction machinery industry. In line with the core concept “green”, engine makers such as Cummings, Perkins, ISUZU, Deutz, Fiat, Toyota, Weichai, Shangchai will be present. Those famous hydraulic, transmission and electric control manufacturers will display quite a few environment-friendly products. At the BICES 2011, the products covering the whole industrial chain will all be available, which will make BICES 2011 a beautiful picture of the industry. 4、From the perspective of the exhibits, BICES has made dramatic progress in expanding traditional scope of the exhibits, enriching concept of the exhibits and offering visitors more opportunities. In addition to the earth-moving machinery, it sees tremendous increase of the presence of high-altitude machinery, mining vehicles, commercial vehicles and special vehicles, crushing and screening machinery, brick machinery, steel bar machinery and those machinery used in the construction site. 5、Diversified activities enhance the concept of the exhibition. The exterior appearance and quality competition will continue to be held at BICES 2011. And construction machinery fun club will be established in the meantime. Photographs gallery and exhibition, exchange, sales and discussion of construction machinery models will be held by the club. Moreover, with the support of the Ministry of Industry and Information in writing form, emergency and rescue equipment exhibition will be held by China Construction Machinery Association. And the concept design contest for construction machinery and special vehicle will be put into spot light by China Construction Machinery Association and Liugong. 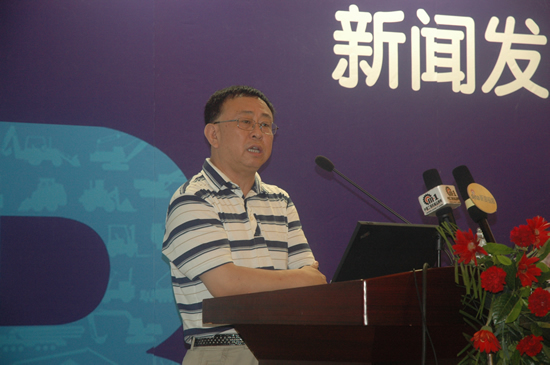 A concurrent event, global construction machinery industry or 50 key manufacturers summit will be held as well. With the rapid growth of China’s construction machinery market and expansion of the exhibition scale, the organizers of BICES will do their utmost to do two assignments well in order to make its steps into the world class exhibition. Hence the organizers are determined to put in more efforts in providing better services and drawing more visitors. First, provide better services to international standard. BICES organizers have renovated the roads both inside and outside the venue in order to improve the traffic condition and comfort level. In the meantime, shuttle bus service will be optimized by relocating the stops and revising the schedule so that most of the visitors will be able to reach the venue within one hour. Those hotels within the range of 30 minutes have signed agreement with BICES. Apart from the discounted rate, shuttle bus stops and other services including conference service, catering, accommodation and transportation will also be available, which will better serve the exhibitors and visitors. Second, invite more high-end visitors. So far support for visitor invitation has been extended to BICES by over 40 domestic and international industry associations. And nearly 20 visitor delegations from Japan, Korea, Viet Nam, Germany, Italy, Turkey, Brazil, Ghana and Syria have confirmed their participation in BICES. In addition to the previous visitor scope BICES has spent more efforts promoting the recognition in other industries such as water conservancy, subway, wind power and mining. Door-to-venue shuttle bus service and badge mailing will be available for them. 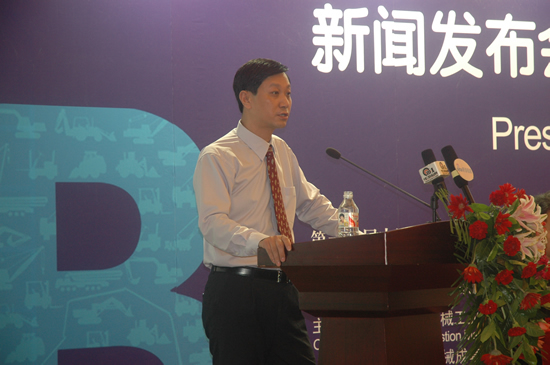 At the press conference, officials with China Construction Machinery Association, i.e. one of the organizers of BICES, introduced the operations of current construction machinery industry and the relevant activities during BICES. And expert on exhibition intellectual property was also invited to introduce and answer some questions proposed by the journalists. Host venue service provider and logistic provider also updated their services on building, transportation and exhibits move-in and move out. All the participants physically visited the venue after the press conference.